ChainLink Research : Research :Transportation Management--Who Pays? Understanding pricing in the transportation market is difficult for buyers. But the more sobering question is: will the TM market follow other sectors with giveaways and freeware? The transportation market is diverse with interlocking services—software, data, networks, community services, and performance management. Recently, while working on a TM selection, the consultant said to me, “Why don’t they just give their software away and charge for transactions?” I demurred since it was certainly not my place to propose a deal on behalf of any of the players on the short list. But honestly, it irked me a bit. Of course, today there are all sorts of payment models in the tech world: people pay on demand, by transaction, or for the data, or multi-year SaaS, or traditional software licenses, or don’t pay at all. But beneath that view are all sorts of spaghetti API and integrations that vary based on use case and end customer markets. Customers can use one element (a service or technology offering) or integrate a web of elements to form an application or business service (a carrier, forwarder, or broker). In fact, in many best of breed portfolios, building is still going on—and will go on due to the specialization of services. Many TMS rely on one another to supply data and code to build their applications. (Read Points of Light in Transportation.) However, all these services and the technology involved in data transfer eventually have to be paid for by somebody. Traditionally, anyone who purchases software or a service pays. But now it’s gotten complicated. A few brokers offer free TMS and there are some smaller TMS for ‘free.’ Of course, these are freemiums that convert users into a fee-based relationship at some point. It is true, though, that free players may not scale, don’t have the network, and are limited in functionality (and are most often not profitable). But sometimes that is a weak argument in today’s world. Most customers are paying. It is just the variety in payment modes that is hard to sort out. I talked to one SaaS solution provider who cleans up all the data for carriers so they can quote and contract to shippers. Yet the shippers are the ones who are paying for the access and search for carriers, rates, and so on. Another SaaS provider does data management for the carriers and charges the carriers for that. Does this mean that a carrier should rush to a software provider who does not charge them? Well, no. There are other services and fees that may be charged by the ‘no charge’ provider. Smart buyers already know there are lots of extras they can extract in a deal from a software company. It is true, though, that there are many valuable items that are being ‘thrown in.’ For example, a common occurrence is an ERP provider who gives away supply chain software; or, as mentioned above, a SaaS provider who does data clean up and management. 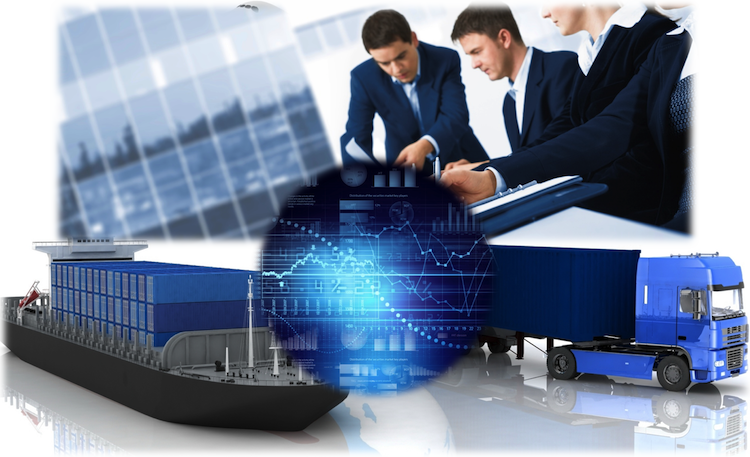 Shippers do look to freight forwarders who already have a ready-to-use software platform. In essence, shippers get services and software for one service charge (or free?). Conversely, smart sellers should know that they can provide and charge for more services.1 One example we have seen is the rise of benchmarking data reporting and services as an option. Rating software and data is another service area. If you buy a TM solution, it probably has rating software within, so the cost is negligible—TM providers don’t segment out rating, per se. However, many carriers and LSPs want to buy just the rating engine. An example is Logility’s rating solution (part of their Shipment Planning), one of the pioneers of rating software, which is used by the mega parcel and ground companies in the US. Additionally, there are neutral rating engines like Catapult and CargoSphere. They can be used as a software platform or a data service to provide rates and rate benchmarks. And they can also provide services for managing data. And buyers, depending on who they are and what they want to do, can almost use an on/off switch for the value they require. This is not to criticize, but to explain the challenges and opportunities in putting together advanced processes or solutions. This provides freight forwarders with many options in terms of the type of software and service combinations they can get. Even LSPs who are adopting a ‘single platform’ strategy—that is, as we mentioned, one main TM has very many unique integrations behind the login screen. Today, only the largest shippers with millions (or hundreds of millions of spend) are interested in putting together their own suites and are seeking out more of a single window TM. The very large shippers probably are just interested in their carriers and their shipping rates and would access a rating engine through an API between their TM and their preferred carriers, or would use a neutral rating engine. But rating is just one example. Customs content is another. This is an area of coopetition. There is the software and content. Depending on the provider, one is ‘thrown in.’ One provider charges for the software, document formats, and reporting, and content is free. Another charges for content alone. It is hard to make a judgment about all of the above in terms of fairness. Fair pricing is a game we can all support. But free takes the market to a place we don’t want to go. Many of the freebie players in other markets have been and gone, or they are free-to-fee—and have thought through where their costs are and they make sure these are recovered—with profit on top. In the software world, especially in complex worlds of Supply Chain and ERP, it is hard to fathom ‘free,’ when years of hard labor, innovation and personal risk (many startups have founders who literally mortgaged their homes to have the cash to grow the business). They deserve to get paid for their work. A little profit is a good thing. It allows companies to hire people, support the product and make sure it is secure, innovate and to educate, and yes, to serve their communities, too. Now Uber creates another interesting quandary. On the surface it might look like an interesting alternative to all this confusion about contracts, rates, paying for software, etc. However, Uber is not a carrier. As such, they do not incur any of the expenses (and support that you want) that an LTL or courier service might, such as insurance for your cargo, paying drivers, paying drivers’ workman’s compensation if they are injured on the job and so on. Uber drivers are not employees, so if they don’t feel like working that day, or have their own customer and don’t feel like taking an Uber customer, they don’t have to. There goes your schedule! That is probably not a workable model for businesses as it stands (although Uber and others are exploring more B2B business options2). A more interesting model is one that Grand Junction has implemented. Shippers who have vetted couriers around the country manage them through Grand Junction, who becomes their tendering, scheduling, and shipment tracking solution. Grand Junction also manages customer performance monitoring of the drivers and couriers so the shipper can see if the work got completed to the customer’s satisfaction. Grand Junction is not a Truckstop for couriers. That is, it is not a marketplace for buyers and sellers. It really acts as the shipper’s portal for their preferred carriers/couriers. The shipper pays Grand Junction (and of course, the courier’s services). As many solutions become more robust, the competition is getting tougher. One of the issues is trying to be all things to all people. If you are going to be the master of the small business, with low prices and modest development efforts—stick to it. Reaching to the large enterprises where things are really complicated and projects include numerous cross-function teams and laborious decision making will slow you down. Rushing to build out new code to say ‘we do that’ may mean ignoring your core customer. Conversely if you serve the mid-to-large business market, stooping to conquer is often unsatisfactory, too. You may have a lot of code and services, but they are not packaged in an economical way for businesses with smaller budgets. And they really don’t want to pay much for the consultants who are often in residence for a lengthy time. The problem is the clash in the middle, which is happening more often these days. Companies that did not compete before are facing off on the battlefield. As those who serviced small enterprises reach higher, for example, they may sacrifice too much for that one notch on the gun belt. Big companies have a lot of clout and the end game may not be what you envisioned if you are not ready to compete at that level. And traditional firms who feel like they are being undercut on price by competition that is throwing in a lot of freebies, well, it is not a pretty sight. This is an extremely challenging time in the TM industry. Over the years we have done pricing models for providers. Besides providing the ability to build up a complex pricing scheme, we always include a profit model. That part of the model has the costs associated with product development, sales, and other elements that are required. Attention needs to be paid to creating pricing that supports a sustainable and profitable business model. If your approach is spiraling your company down to non-profitability and taking the industry with you, maybe you need to rethink your approach. The supply chain market was the innovator of value propositions in software sales. The concept is simple—a strong value proposition means customers will pay for the service or product. If you can’t position that and price accordingly, maybe you don’t have a business model.